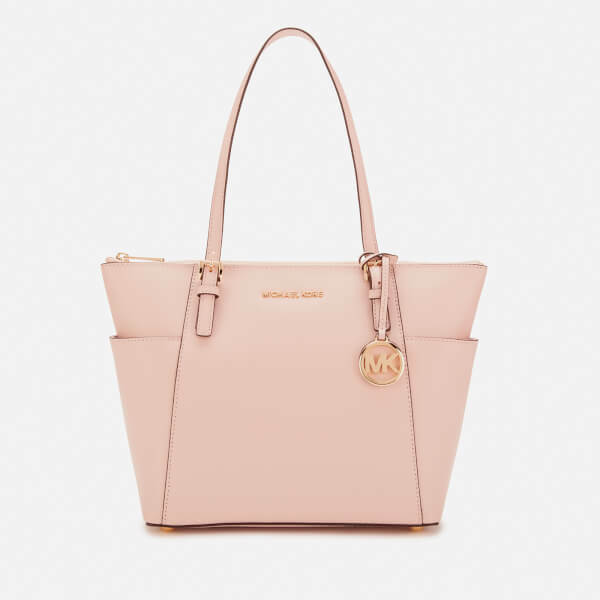 Women's pink leather tote bag from MICHAEL MICHAEL KORS with saffiano leather construction and structured silhouette. 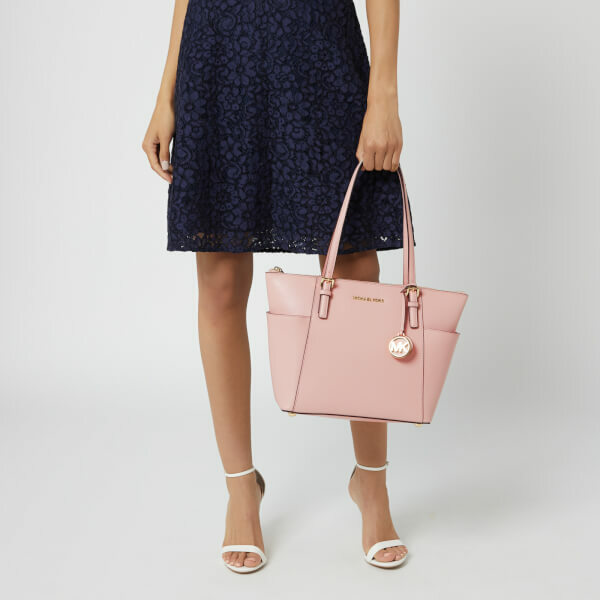 The 'Jet Set' bag features lateral pockets to the exterior for extra storage, and a top zip fastening that opens to reveal a fabric lined interior with multiple zip and slip pockets within. 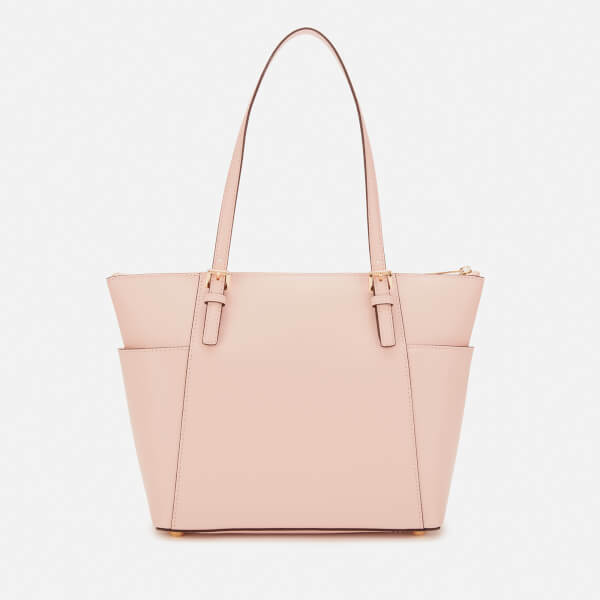 Complete with two flat shoulder straps, gold toned buckle detailing and protective metal feet to the base. Appliqué branding to the front and signature charm. Dimensions: H: 24cm x W: 27cm x D: 10.5cm. Strap Drop: 25cm.